Hello everyone! Do You like to wear midi dresses or skirts? I think midi cut are not reserved just for tall girls. I’m 160cm height and I really like to wear this type of clothes 🙂 I think the midi length is perfect choice for all sized women. You just need to combined with good details and top. 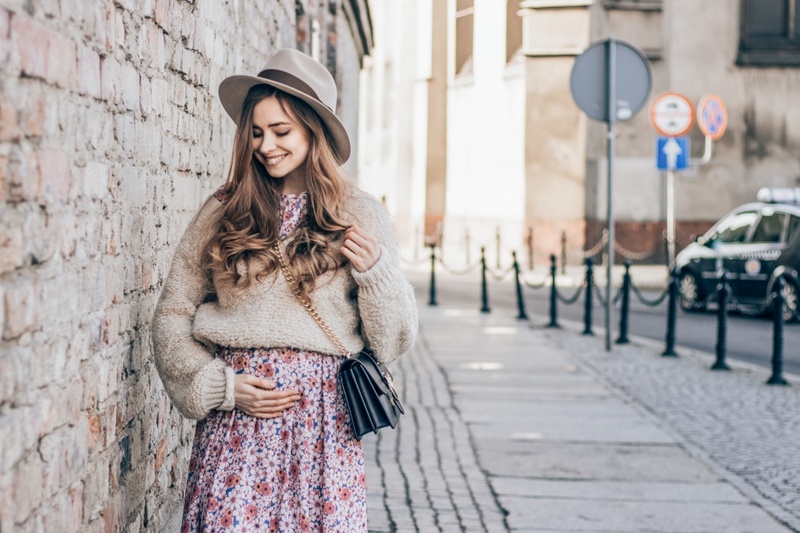 In my opinion soft sweater makes great combination with midi skirt or dress. This kind of look I want to show You on my today’s photos. For the photo session I combined midi flower dress with beige sweater and white sneakers. I added beige hat white girly socks and black bag. 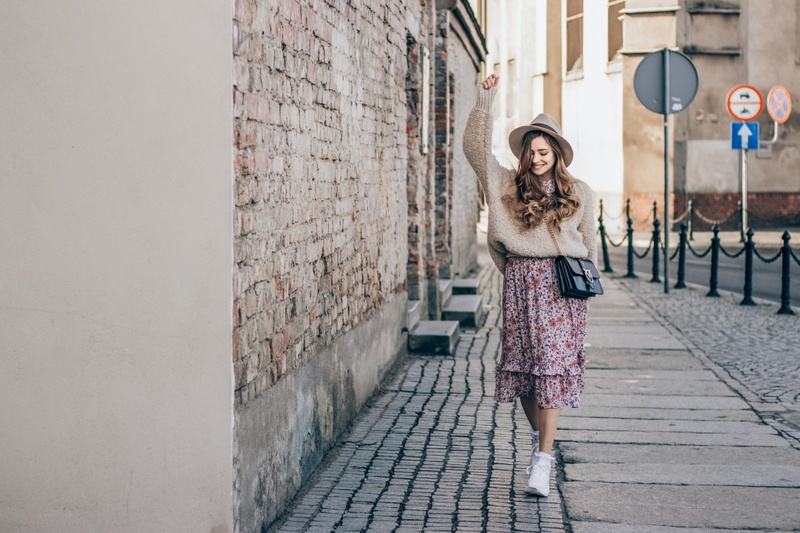 I like the combination of midi cut and sweaters very much <3 This kind of outfit will be perfect for Spring days- it’s still warm and looks fresh! Sukienki i spódniczki o długości midi uwielbiam łączyć ze sportowym obuwiem i ozdobnymi skarpetkami. Taka długość pięknie prezentuje się w połączeniu z marynarkami, skórzanymi kurtkami i sweterkami. Ja zdecydowałam się dzisiaj na połączenie z grubym swetrem.